According to Faraday’s law of electromagnetic induction, “Whenever there is a change in current flowing through a coil, a change in magnetic field is produced which induces a voltage across the coil.” A coil is nothing but a twisted wire. 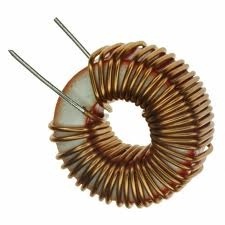 When such a coil is formed out of a wire of certain length and cross-sectional area, it acts as an inductor. The electromagnetic field produced by the inductor depends on the current flowing through it. The field so formed expands with an increase in current and contracts with decrease in current. 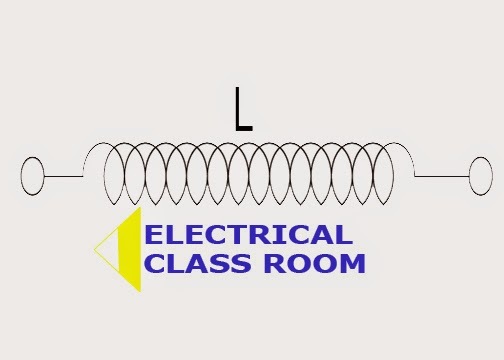 L is the length of the coil. Unit of inductrance is henry. It is denoted by the letter H. One henry is equal to the inductance developed in a coil when current through it changes at a rate of one ampere per second. V is the voltage across the inductor in volts and i is the current flowing through it. The above equation denotes that the current through an inductor depends on initial current and the voltage across its terminals. Refer equation 1, the voltage across an inductor depends on the change in current through it. Hence when the current is constant, the voltage across its terminals would fall to zero. This means that for a DC supply (constant current supply), inductor acts as short circuit. An inductor can store finite amount of energy even if the voltage across its terminal is zero. As mentioned before, an inductor should never dissipate energy. But practically, a small amount of energy dissipation occurs across an inductor due to the resistance of the coil. Find the voltage induced across an inductor having an inductance of 2H, if the current through it varies at a rate of 3 amperes per second for 2 seconds. Also find the energy stored in it. The energy stored in the inductor = Li2/2= 2 x 62 /2 = 36 joules.